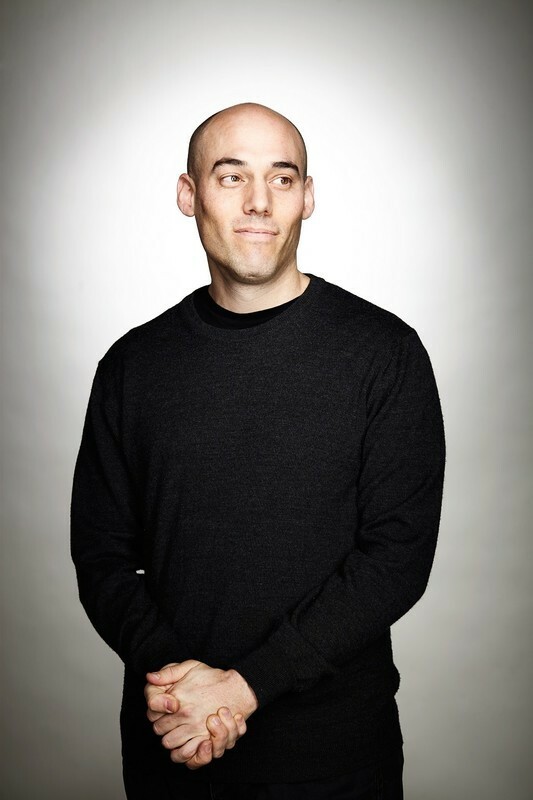 Joshua Oppenheimer’s 2012 documentary “The Act of Killing” spoke to some of the torturers and executioners from the Indonesian genocide fifty years ago—a political purge by right-wing military elements that claimed the lives of over a million people accused of being communists. The main character was Anwar Congo, who spoke of how he would strangle and cut the throats of enemies; other characters included murderers and rapists. The filmmaker gave them small budgets to make films retelling their stories (in their minds, they were exploits), and the result was a series of bizarre fantasies strongly informed by Hollywood movies. Oppenheimer’s second film on the subject, “The Look of Silence,” looks at the effect of the violence on a single family, and takes a much more sober and spare approach. The main character is an optician named Adi Rukun, who helped Oppenheimer on the first film. Adi’s older brother Ramli was murdered by members of Indonesia’s paramilitary death squads two years before Ramli was born. RogerEbert.com spoke to Oppenheimer last week about the relationship between the two movies and the difficulties of portraying violence with such deep roots in a culture. 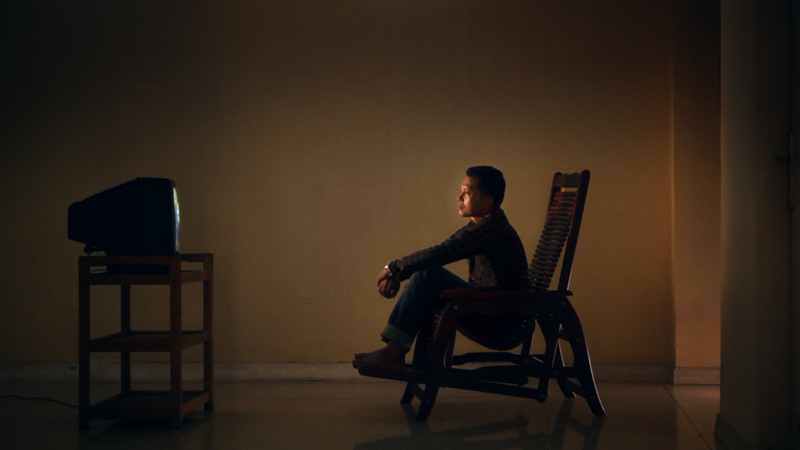 Is it fair to characterize “The Look of Silence” as a sequel, or would you call it a companion piece, or what? I’d call it a companion piece. I’d say that taken together with the uncut version of “The Act of Killing” that’s been released in the US on Netflix—as the director’s cut was really the unabridged film released everywhere else in the world outside the US, 40 minutes longer than the US theatrical version of “Killing”— I see the two films as completing one another and forming a single work whose whole I hope is greater than the sum of its parts. “The Act of Killing” concentrates on some of the killers and torturers from the genocide in Indonesia, and this one concentrates on the victims, specifically from one family and community. I’m wondering about the timeline of this second film. Can you walk us through that? 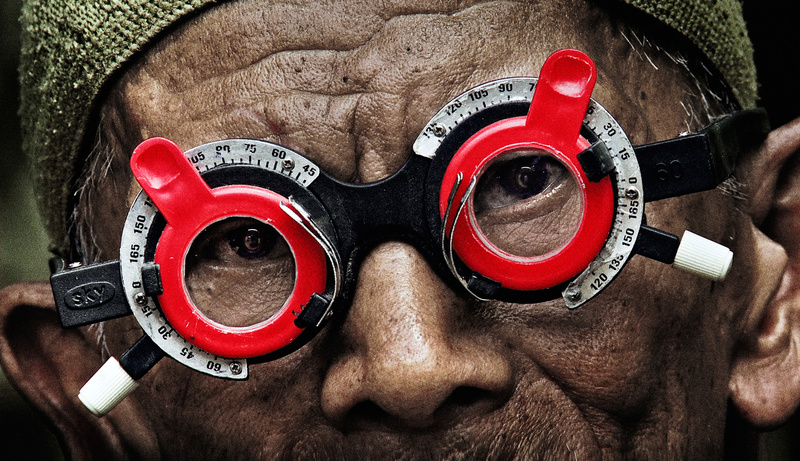 Was “The Look of Silence” in production at the same time, or did you come back much later? The footage that Adi is watching in the film is material I shot from 2003 to 2005, before I met Anwar Congo, before I started making “Killing,” when I’d begun working with Adi Rakun and his parents and survivors working around them in early 2003. And after three weeks of Adi gathering survivors to tell their stories, the army threatened all of them and told them not to participate in the film. So I spent two years, from that point, filming every perpetrator I could find, feeling entrusted by Adi, and gradually the entire human rights community who became involved with, or encouraged me to continue this project. And that’s the material Adi’s watching, and those two years ended when I met Anwar Congo, the 41st perpetrator I filmed, and I lingered on him because I could see the boasting was actually a response to guilt. I really realized this when I met Anwar; it was evident on the first day I met Anwar in fact, the day he took me to the rooftop at the beginning of “Killing” and started to dance after showing how he killed: I came to realize that every perpetrator I was filming was living their life in a manic flight from a kind of pall of guilt and shame that follows them everywhere they go, that insinuates itself into their sleep and wakes them with terrible nightmares. And yet because they’ve never been removed from power, they still have available to them a victors’ history that justifies what they’ve done. So they do the human, the inevitable thing any human being will do if they feel guilty…they try to justify it, and they try to take specifically these rotten, bitter memories and sugarcoat them in the sweet language of the victors’ history that would celebrate what they’ve done, so they can live with themselves. And that, of course, explains why they’re boasting about the most unseemly details, because those are the most difficult memories, the most bitter memories for them to swallow. Anyways, I spent five years from 2005 to 2010 filming w/Anwar and the men around him, and Adi would continue to watch everything I had to show him. I went home in 2010 to edit “Killing” and returned after editing the uncut version of the film, to shoot “Silence” knowing I would not be able to return to Indonesia after Killing came out. Adi was not a presence in the first film. He is really the main character of “Silence” though. How did that come about? It was essentially his idea, but the way it happened was, when I finished shooting “Killing,” I gave Adi a small camera to use as a kind of notebook to look for images that might inspire the making of the second film. When I returned a couple years later after editing “Killing,” to make “Silence,” I did not yet know he’d be the main character, I just knew he’d be a main collaborator. That’s true. Even in films like “Shoah” and “Hotel Terminus” that were made in the 1980s, there is a cushion. Yes, because the Nazis lost WWII! There’s a cushion that comes from the fact that they no longer have the power to harm, or the power to confront the victim or the survivor. So I realized it might be possible to do this. I then went and told Adi, “Look, we can maybe do this but I don’t think we’ll get the apology you’re hoping for. I think the perpetrators will panic when confronted by your willingness to forgive because they’ll see in your humanity, the humanity of Ramli and their other victims and they’ll be forced to recognize that what they’d done was wrong.” I had worked with Anwar Congo for five years, and at the end of that process, when he is finally feeling his guilt, it makes him retch. And even then, if you see the directors’ cut of “Killing,” there’s a line there: While he’s retching, he’s still repeating, ‘My conscience told me they had to be killed.’ He still doesn’t have the courage to fully admit what he did was wrong and that he’s always known it. Yeah, he’s clinging to some justification of what he’s done, of course, and that’s when he’s starting to sense where Adi’s questions are leading him. But, at that point, he’s still having his eyes tested, and Adi is still letting him talk, mainly. And you know, when he started talking about those details….I’ve never been able to repeat that detail you’ve just come to me with, Matt, on the phone, or in an interview, because it’s so horrific. Yeah, it does! When I saw these scarlet test lenses, he’s using storytelling as an instrument of fear. Remember, he begins the scene by saying, “Everyone in the village is afraid of me,” and then when he starts telling stories, you understand why, not because of the horrific things he did, but because of the way he talks about it today. Seeing that with him framed by these ineffectual test lenses, a man who’s totally, willfully blind, I had this feeling I was looking at a detail from a Hieronymus Bosch painting. I had two cameras on the scene, which I always do because I’m more interested in the reactions, the silences, the shame that follows the words than I am in the words themselves, and I wanted to make sure I could capture those reactions. I do that with two cameras and complimentary angels, because this is film all about close-ups and faces. But when I saw that, I swung one of the cameras off its, away from the complimentary angle so it was absolutely frontal on Denong’s face, because I thought, here is this tableaux, this landscape, this vision of hell, and it’s this total metaphor for human blindness. This is the image that sort of unpacks what this whole film is about. It’s interesting also that he stares and stares and stares into the camera and he doesn’t look away. It’s like he expects, in the way that many powerful and dangerous men expect, that other people are not allowed to look at you in that way, and it offends him to realize that the camera is looking at him in that way, staring at him. They can look at you that way, but you can’t look at them that way. That’s right. It’s meeting his gaze, and it’s a gaze that, I mentioned earlier, he boasts about. He boasts about how everyone’s afraid of him. It’s a gaze that limits his power in the fact that he’s eared. Of course, the fact that Adi’s an optometrist was important, but I think also in cinema you have to grow your metaphors, especially in non-fiction. They’re there in the world, they’re all around us, and you have to find them and tend them like a very delicate plant in a garden, like a seedling. You have to give it fertile soil and water them and protect them from too much sun, rain and the elements. You have to grow and nurture them, and eventually they grow into something and surpass whatever meaning you give them in words, and they become truly cinematic metaphors. They hold an enduring mystery, become something beyond a symbol or something you can’t quite articulate but which you understand is the key to unlocking the whole film’s unconscious, delirious, universe. Since you mentioned gardens, I want to ask you about another scene, which is Adi’s mother chopping peppers in a garden. Tamarinds. They look like peppers. That made me think about the mission statement of this film and the first film, as I’ve heard it described, which is, “Understanding, which will hopefully pave the way to reconciliation,” or something like that. But I wonder, aren’t there a good many people in Indonesia who don’t want reconciliation? Who want revenge, punishment? They’re not ready to forgive, maybe they’re not able to forgive. Well, I think first of all, that it’s very different to fantasize about revenge from a position of complete disempowerment than to actually contemplate taking revenge when you’re empowered to do so. And Rohani, Adi’s mother, is…the fact that all she can imagine is justice in the afterlife is a symptom of her powerlessness in the present, in this life. At the same time, the survivors live in fear, and certainly are not in a position to take revenge. Adi is holding out the possibility of forgiveness, but only if the perpetrators can take responsibility for what they’ve done and acknowledge without excuses that it was wrong. And none of them is able to do so. What we are instead witnessing in these confrontations is the abyss of shame and guilt and fear of their own guilt. Well, denial is then the response. Denial, panic, threats, anger, those are very human responses to feeling guilt. I’m sure it’s one of the most frustrating aspects of human experience for all of us, that when we tell someone who’s hurt us that they’ve hurt us, they tend to react with anger because they feel guilty, and we know we also get angry when we feel guilty. It’s a form of denial. You know, except for the one with the daughter, each of the confrontations in this film ends in an absolute impasse that shows how torn the social fabric in Indonesia is, and how urgently truth, reconciliation, and some form of justice are needed, and how important it is for everybody, survivor’s and perpetrator’s families, for there to be a national apology, some acknowledgment that this was wrong, some form of truth and reconciliation and ultimately, some form of justice too, so that the next sentence—the sentence that would break the terrible silence of each impasse, because that’s what the film is – the next sentence becomes possible. You see, it’s tempting to say that these confrontations break silence, but actually, what they really do, is they make visible the ultimate silence, the inability to bridge that abyss, to get past that impasse, and in terms of the resonance of the film in Indonesia, the impact there speaks for itself. So I think the film has shown—has created a national conversation in the media and the public demanding truth, reconciliation and some form of justice, but it’s a conversation that is a demand of the younger generation, of the people who were not perpetrators themselves, and who were not traumatized by their experience of the genocide. I wonder if we can talk a little bit about stories and storytelling as it relates to what you just mentioned. The younger generation is, of course, the hope for the future, but in this very same film [Silence], you have a scene of indoctrination in the classroom, and you have a lot of discussion of propaganda—of the idea that the victors in this case, the perpetrators and their descendants of this genocide, are determining how the story is told, what details are put in and left out. I wonder if it’s possible to really move forward as long as the narrative is controlled by these people. The narrative has to change. It’s a struggle. At the moment, as a result of these two films, there’s a lot of impetus for changing the narrative. The Indonesian Association of History Teachers, which is the national body of history teachers, is, in response to the film and in response to the government’s reluctance to change the narrative thus far, introducing an altenrative history curriculum so teachers are able to say, “this is what we’re supposed to teach you, and now here is the truth.” That involves upper/secondary school students looking at the director’s cut of “The Act of Killing” and “The Look of Silence” in class. At the same time, the Oscar nomination for Killing prompted the president’s office to acknowledge that what happened in 1965 was a crime against humanity, and we need to have truth and reconciliation, but we don’t need a film to force us to do this. So they tried to dismiss the film, yet it was wonderful, because it was the first time the government ever acknowledged it was wrong. And now there are rumors of an official apology to the victims in the next State of the Union address. I don’t know if that will materialize. I believe the president has been accused of being a communist, simply for contemplating such a thing by the shadow state of the military intelligence services and paramilitary groups that the film exposes. And you’re absolutely right that the narrative has to shift. That’s the reason why there’s resistance—why, despite Killing prompting the government to admit it was wrong, they continue to teach a story that glorifies what happened, and blames the victims, essentially claiming they deserve what happened to them. The moment the state changes the official history, it officially de-legitimizes the power and wealth of the oligarchs, the perpetrators and protégées who run the country in many ways and are above the law to this day. Changing the history will reveal the power and wealth of the perpetrators and the oligarchs to be what it really is—illegitimate spoils of plunder and atrocity. And there’s tremendous resistance from people with real power to that de-legitimization of their position.